The Alder Creek Adventure Center, which includes the Alder Creek Café, Trailside Bar, Retail Shop, BikeWorks, Cross Country Ski Center and Equestrian Center, is located on the west side of Alder Creek Road near the intersection of Alder Creek Road and Wolfgang Road. These activities serve members and guests and are open to the public. Parking is provided on site for these activities and provides access to Tahoe Donner’s extensive trail system. The Alder Creek Adventure Center Subcommittee is tasked with creating an amenity master plan that provides long-term guidance for member use, management, maintenance and funding. This will incorporate input from members gathered directly, from surveys and other input activities. The Alder Creek Adventure Center Amenity Master Plan will provide general guidelines for the long term that allows for detailed planning year to year. It will be updated periodically in order to remain current with the needs of the membership, accommodate changes in use, and to allow for adaptive management. During the summer, Alder Creek Adventure Center amenities that are utilized by cross country skiers in the winter serve hikers, bicyclists, equestrians and youth day campers for activities focused on nature, horse riding and bicycling. Truly a four-season facility, it provides access to the extensive Tahoe Donner trail system, as well as an expansive and comfortable day lodge for meeting friends and enjoying a meal or a beverage at the start or end of favorite outdoor adventures. The Equestrian Center is where members, guests and the public come to have “Family Fun with Horses”. An original Tahoe Donner amenity, its large horse barn that originally occupied the site was replaced by the multi-use Alder Creek Adventure Center, completed in 2016. Long popular with a steady percentage of members, the Equestrian Center was relocated just to the north of its old location, where it operates June through September. Trail rides, pony rides, summer camps, and private lessons use Tahoe Donner’s herd of well-trained horses, with long and short term horse boarding available for members’ and visitors’ horses. Special events such as birthday parties and movie nights draw equestrians and not-yet equestrians alike. 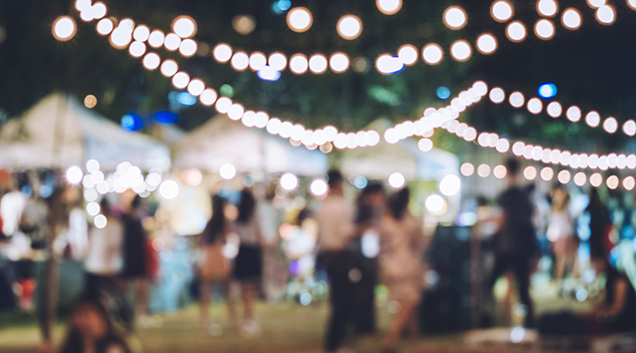 During Labor Day weekend 2018, Tahoe Donner’s first Wild West Fest brought a sell-out crowd to enjoy equestrian performances, kids’ activities, dining and dancing well into the evening. The Cross Country Ski Center originally operated out of the old horse barn during the winter when the horses were away, and now operates from the beautiful and functional Alder Creek Adventure Center where it offers cross‐country skiing facilities, rentals, and retail sales from the new building, serving both recreational skiers and local school cross‐country race teams, as well as occasional regional or national ski races. Over 100 kilometers of Nordic ski trails traverse the northwestern portion of Tahoe Donner, including Euer Valley, where there are four warming huts. 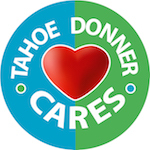 Tahoe Donner’s extensive trail system, accessible from multiple trailheads throughout the community, is most frequently accessed from the Alder Creek Adventure Center. You can access the Trails and Open Space GPC Subcommittee page here (Link) for more information. BikeWorks is located in the Alder Creek Adventure Center, offering mountain biking rentals, lessons and retail sales, including “fat bikes” with larger tires to accommodate riding in the snow and sand. The Alder Creek Amenity Master Plan will provide general guidelines for the long term that support detailed planning year to year. It will be updated periodically in order to remain current with the needs of the membership, accommodate changes in use, and to allow for adaptive management. Documents will be posted here as they are developed. Meeting dates and times will be posted here when the subcommittee begins holding meetings.